These words leapt off page 439 of Stephen King’s Under the Dome, as they are almost an exact quote from Matthew Arnold’s poem Dover Beach (see below). In that poem, Arnold is standing on the shale of the beach looking out at the light of the moon as it reflects across the English Channel and on the distant coast of France. Similarly, the residents of Chester’s Mill are gazing up at the stars which have been distorted by the haze of the Dome, giving them a pink, streaked appearance, as if the stars are raining down upon them. In both instances, celestial phenomena prompt an observation on how small, and somewhat insignificant, people are compared to the greater world at large. Arnold’s poem deals with a crisis of faith, and King’s narrator also seems to have lost faith in the society under the Dome. The Dover Beach quote is followed by a list of those who have died since the mysterious barrier came down, and then (spoiler alert!) cuts to the town’s first Dome-driven suicide. Arnold seems to be searching for faith in human intimacy (“ah, love, let us be true to one another!”) despite a melancholy world that “hath really neither joy, nor love, nor light.” The people in Chester’s Mill appear to personify and magnify this outlook on humanity. Those who connect and support each other eventually become the only ones who have a chance. (A bit like “live together, die alone” from LOST—a quote which I kept expecting to appear in this book.) 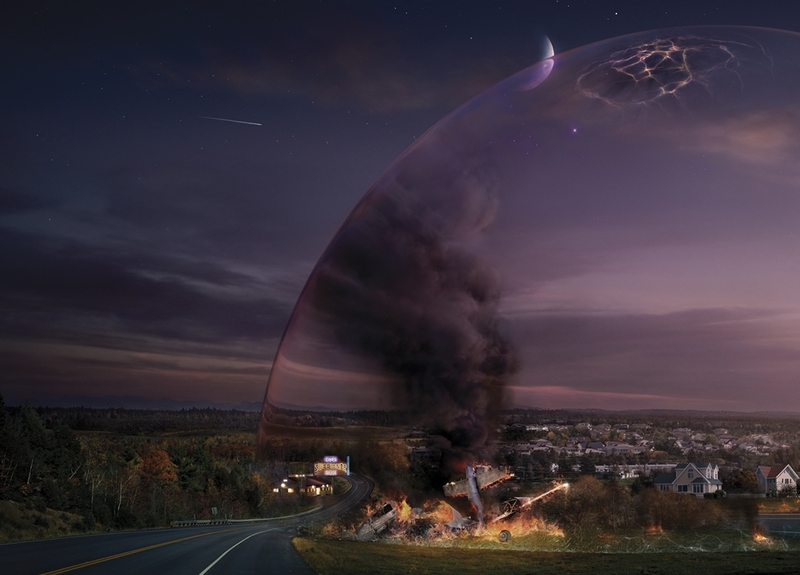 Dover Beach hints at dystopia and then King brings this to fruition Under the Dome. The Fool has realized that Goneril is betraying her father, though Lear can’t bring himself to accept this, asking “Are you our daughter?” This is the moment when Lear begins to question his new situation and his new reality—the moment which ultimately kicks off his descent into madness and rage. Like Lear, the people of Chester’s Mill are going to face new unhinged reality and widespread madness. Dover Beach must be a favorite of King’s as he also references it in The Shining. Jack wanders around the Colorado Lounge thinking what it must have been like there celebrating there in 1945, “the war won, the future stretching ahead so various and new, like a land of dreams.” Here King is juxtaposing this hopefulness against Jack’s own Lear-like descent into madness. Dover Beach has long been one of my favorite poems for its complex tension of hope and despair—also the words are beautiful. It’s thrilling to think after more than a century, nearly two, a Victorian poet (who ironically was known for his concept of “sweetness and light”) could exact such an influence on writers like Stephen King and Ray Bradbury. Mann Gulch, Storm King Mountain, and now, Yarnell Hill. Oh, it was awful to learn about the loss of those 19 brave Hotshot firefighters from Prescott, Arizona. It will be a while before investigators fully understand this tragedy, but the takeaway is that wild fires are erratic and unpredictable. So much so that even the most experienced and elite crews are risking their lives each time they head out to the fire line. By odd coincidence, I was reading Young Men and Fire back in the summer of 1994, when 14 men and women were killed fighting a fire on Storm King Mountain, Colorado. As in Mann Gulch, these firefighters were confronted with flames that suddenly changed direction and began racing uphill towards them. Unlike people (especially those wearing bulky protective suits and carrying heavy gear), fire typically moves faster going uphill than downhill. Maclean’s son John wrote about this second tragedy in Fire on the Mountain: The True Story of the South Canyon Fire. While it’s not the elegiac masterpiece of YM&F, John Maclean’s book is a compelling, page-turning read in the vein of A Perfect Storm. 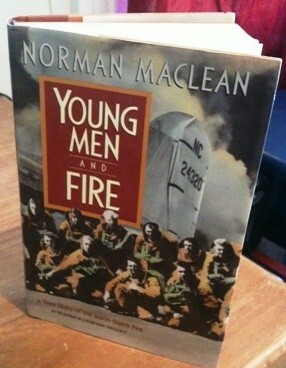 The younger Maclean shows how several seemingly minor human errors amassed together, leading the firefighting crew into an inescapable deathtrap. The snap of an American flag shifting into northwest wind (as noted by a National Weather Service forecaster) turns out to have ominous portent. but this hardcover I’ve kept. Like those fires, early reports are that the Yarnell Hill fire took a 180-degree change in direction. Indeed the last photo taken by one of the Hotshots does not herald danger, but shows the men atop a ridgeline at a safe distance from the burn. I’m ready for a reread of both books, as I try to come to terms with yet another group of promising, vibrant young people sacrificed in their prime. Thoughts and prayers of sympathy for their families and for the community of Prescott. Meanwhile, I feel an immense gratitude and respect for those incredibly brave men and women, heroes, out trying to tame so many wildfires during this drought-ridden summer of record heat. I recently got some fascinating new insights into the Declaration of Independence through Revolutionary Summer: The Birth of American Independence by Joseph J. Ellis. For instance, Thomas Jefferson was chosen as author by default. He was the third choice, actually. The drafting committee wanted Benjamin Franklin, who was already rather a big-name celebrity in America as well as in England. But Franklin declined, saying he hated writing for a committee. They turned next to John Adams, a fiery orator for ‘the Cause’ in the Continental Congress. But Adams recused himself, concerned that his vocalizing had caused him to be seen as a ‘radical.’ Adams wisely knew that they needed someone who was seen as a moderate to sway those who still hoped for a reconciliation with the Crown. At the time the members of the Declaration’s drafting Committee of Five did not realize the importance of the project. Franklin, Adams, Roger Sherman, Robert Livingston, and even Jefferson were each anxious to return to their home states, for the debates over state constitutions. These negotiations were considered to be the real grass-roots action. 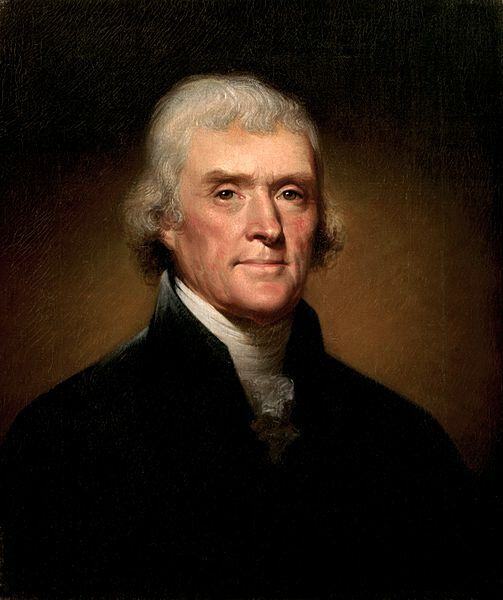 As Jefferson holed up in Philadelphia laboring over the Declaration, he yearned to be at the Virginia General Assembly. Still, Jefferson poured his heart and soul into the Declaration of Independence, creating what was not only an historic legal document, but also a masterpiece of writing. The second sentence has been called “one of the best-known sentences in the English language” by literary theorists. At the time, however, Jefferson’s genius wasn’t quite recognized and his opus was heatedly critiqued and edited by the Continental Congress. Jefferson “sat silently and sullenly throughout the debate,” which sounds a bit like the writer’s workshop from hell. “At one point, Franklin leaned over to console him, reminding Jefferson that this was the reason he never wrote anything that would be edited by a committee.” Ultimately, several large sections were cut, and it was this revised version that was printed and circulated throughout the country. 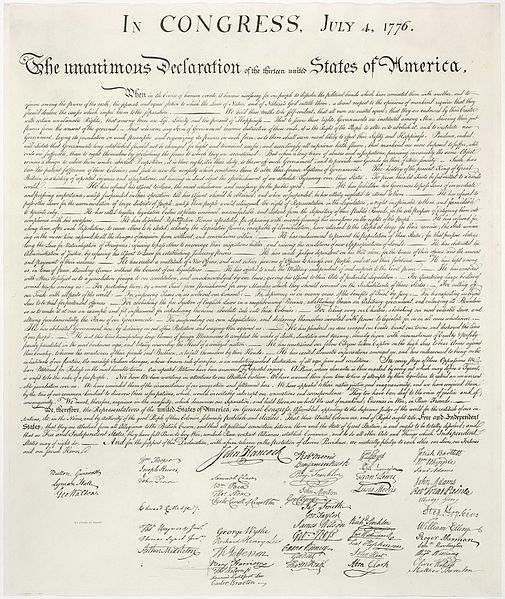 Ellis points out that almost more than the existence of the Declaration itself, Jefferson’s famous closing words, “our lives, our fortunes, and our sacred honor,” became a rallying cry and a pledge that spurred on the revolution. Still, Jefferson became a rather obsessed with his original draft. “He devoted considerable energy to making copies of his unedited version of the document, restoring the sections deleted by the congress, placing their revisions in the margins so as to differentiate his language from the published version.” While he sounds like an editor’s nightmare (from my experience at magazines, it’s usually the writers who resist editing that need it the most), the congress took out some very key elements. First, they deleted all references to slavery and also to Jefferson’s proposal to end the slave trade, which he roundaboutly blamed on George III. This ominous omission still haunts us today. They also cut a thorough anti-king argument which Jefferson modeled after the British Declaration of Rights, a seminal act which set precedent by limiting the Crown’s power, reinforcing Parliament’s authority, and outlining the rights of petition and free speech during England’s Glorious Revolution. This seems a most genius way for Jefferson to use Parliament’s own words and laws to reinforce the Americans’ rights. They also rejected Jefferson’s doctrine of “expatriation,” in which he theorized the that since the colonists had come to America “at the expense of our own blood and treasure” (with no financial or other support of Great Britain), they were not beholden to that country. There were several other deletions including a tirade against George III for sending mercenaries to attack the colonists. In all, I tend to agree with Jefferson on many of his points. Then again, brevity is also important in these matters, especially when copies were made by hand. You can read Jefferson’s unedited version here. Every writer has known that mixed emotional jumble of having hard-wrought words deleted or rearranged. Often, however, a writer can find a strange satisfaction and even appreciation in this transformation. Not so for Jefferson. As he grew old and the country he helped found took shape, he grew less fixated on his version of the Declaration but never really got over it.